Within the ever-changing landscape of Northern Arizona’s Navajo land lies two popular slot canyons, Upper and Lower Antelope Canyon. 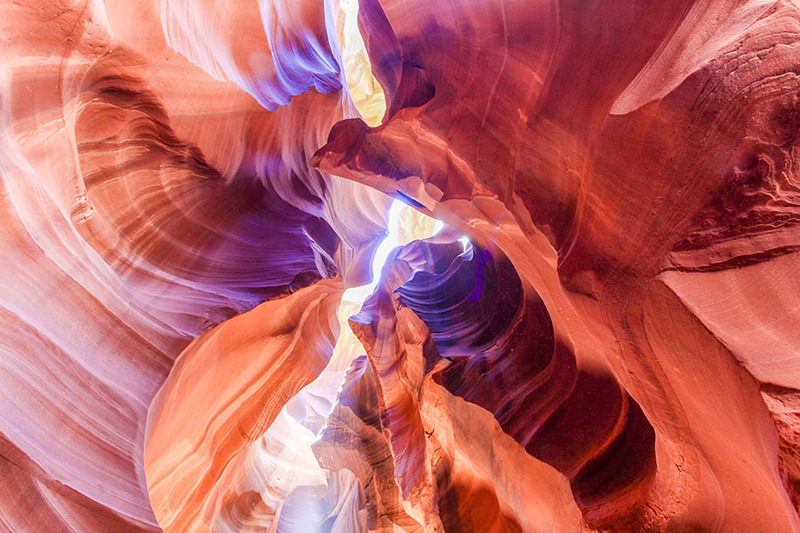 No one knows exactly when the Antelope Canyon was first discovered. According to older Navajos, entering the canyon was once like crossing the threshold of a cathedral. In order to be in the right frame of mind, they would most likely pause before walking I, preparing for protection and respect. This moment of reflection probably allowed the Navajo to leave with uplifting insight into what Mother Nature has to offer all of us, and to be in harmony with something greater than themselves.Angel Heart is a limited edition of 15 only. Reserve yours now. The pricing will increase after the first 3 sold. I would suggest the Aluma Museum Mount to showcase it's beauty. Please email scott@papekphotography.com for pricing. Photo © copyright by Scott Papek.